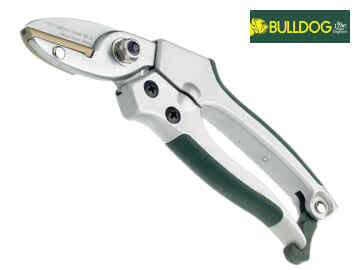 The Bulldog BD3152 Premier Anvil Pruning Shears have a flip lock at the end of the handle to prevent accidental locking of the tool during use. The shears are strong and durable, with a stainless steel blade and a brass anvil piece. 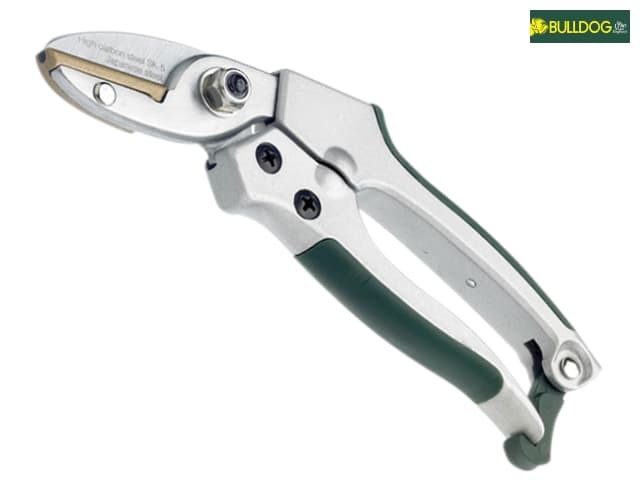 The shears are ideal for pruning dead wood, and soft-touch grips ensure user comfort.